When I think of summer foods, I immediately think of watermelon. We almost always have a watermelon in our refrigerator. 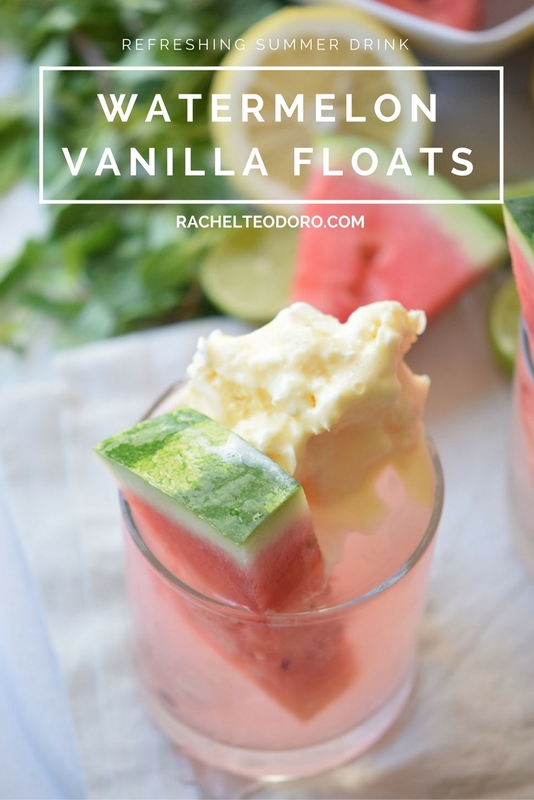 I probably eat my weight in watermelon during the summer, and since I'm one that likes to keep summer around for as long as possible, I'm sharing this recipe for these yummy watermelon vanilla floats. 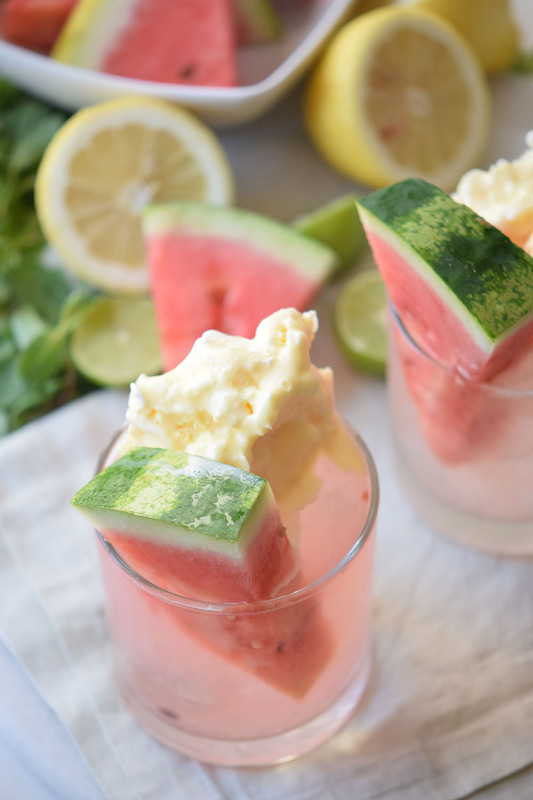 These floats are refreshing and delicious and perfect to serve anytime to keep the summer feeling going strong! 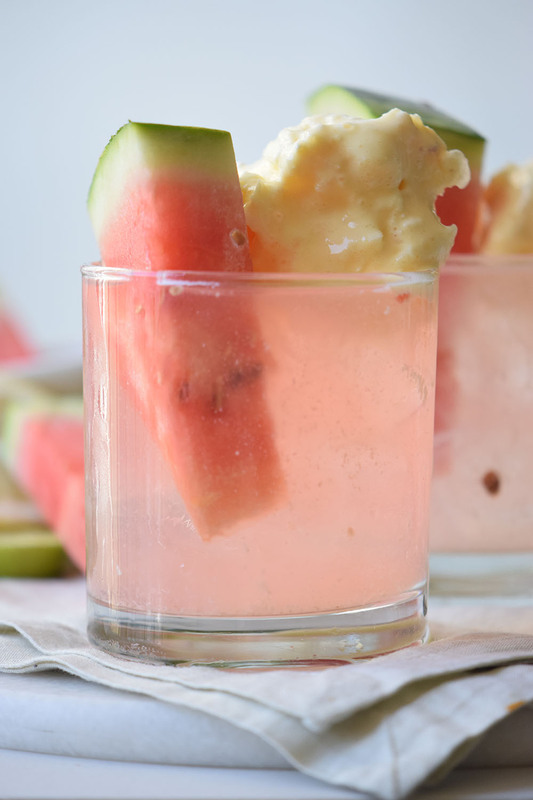 It's easy to make your own watermelon juice at home. 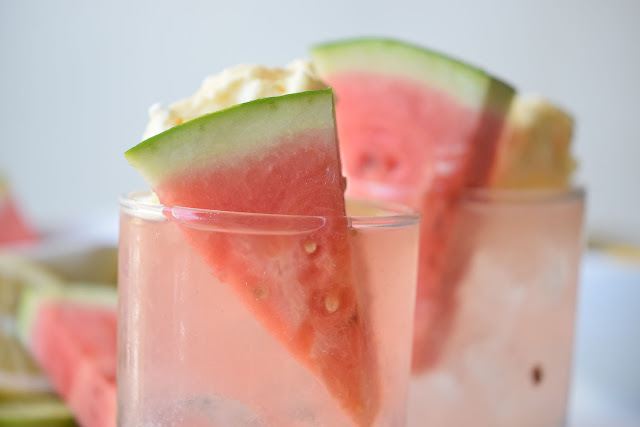 You simply cut your seedless watermelon into chunks, add it to a blender with a little water and pulse. It only takes a few minutes to use fresh juice but makes a big difference in the taste. Give it a try! In a jar mix the watermelon juice, sugar, vanilla, and water. 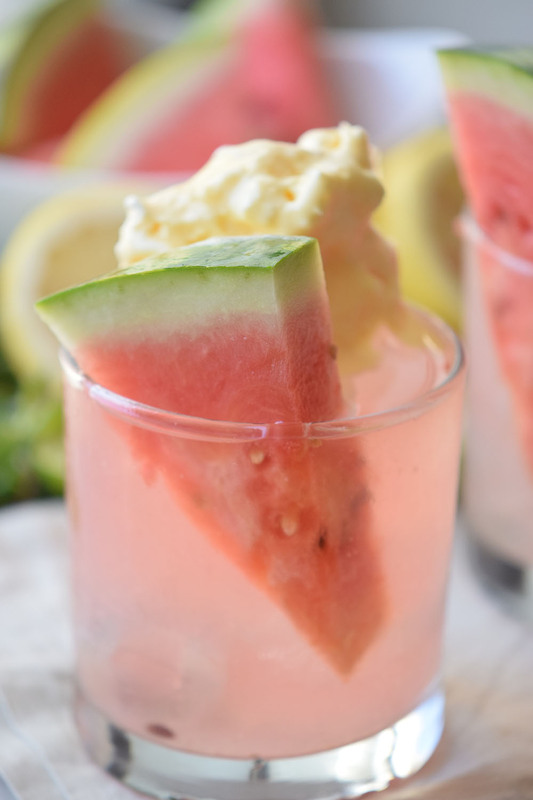 Pour the juice into glasses. Top with a scoop of ice cream. 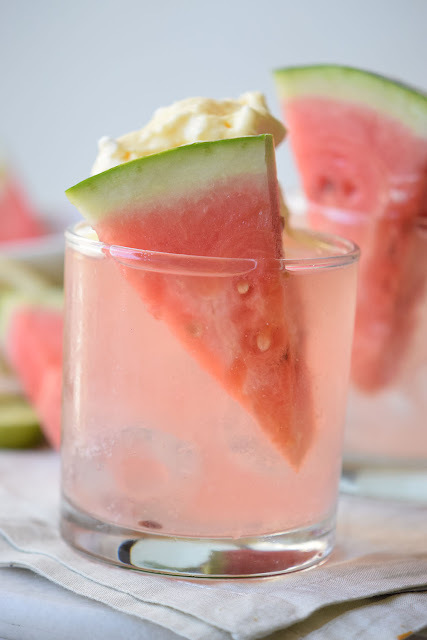 Garnish with the watermelon slices. 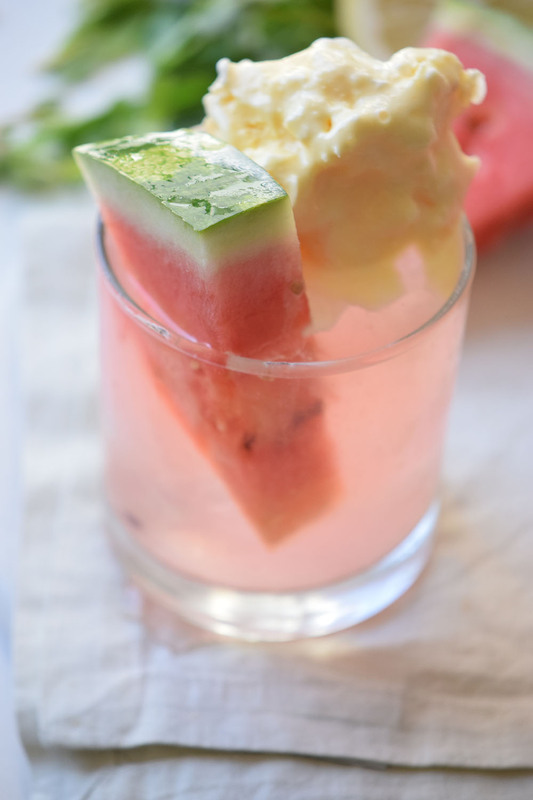 I think using watermelon as the garnish takes this fun treat over the edge. For a bubblier experience add the soda after the ice cream. 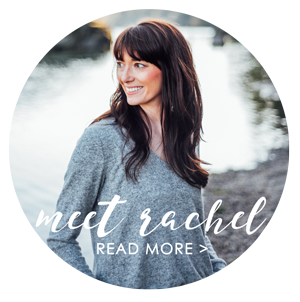 disclaimer: this post may have affiliate links. 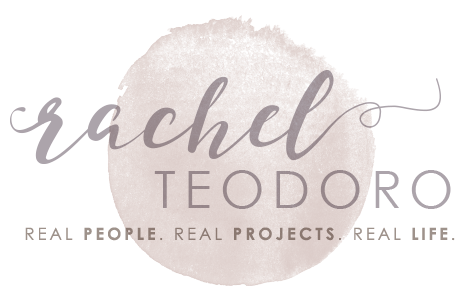 By clicking on them and purchasing through them, I may receive a small commission. These small purchases help me to continue to keep writing content and creating at Holy Craft. Thank you!